The Lava E-Vac Embossed Vacuum-Sealer Rolls (textured) 2 x (45 cm x 6 m) guarantee full flexibilty, you can make Bags from the Rolls in the size you prefer! The Lava E-Vac Vacuum Sealer Rolls can be delivered in 6 different sizes and they are perfect for your Lava and garanteed every other machine-brand in the market. 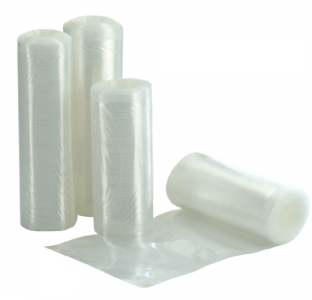 Lava recommends using a vacuum device always with Lava original films, they are ideally designed for your vacuum sealer and guarantee a long life of your products.